Interested in photographing an emotional campus protest, interviewing Madeline Albright or savoring the cuisine in a delicious new restaurant for a review? You’ve found the place to do all that and more (plus a great community of people to join). If you already know you want to be part of our team, go ahead and fill out our interest form here. Any AU student, including graduate, law and Washington Semester students, are welcome to get involved with The Eagle. Here’s how it works. At any time, you're welcome to become one of our contributors. You’ll produce content for any of The Eagle’s six departments: news, life, sports, opinion, online and multimedia. Prior journalism experience is not required. Each section has weekly pitch meetings. There, you can meet the editors, pick up an assignment and get started. It’s a small time commitment and you can start whenever you’d like by attending a pitch meeting. The Eagle is working to expand our online and multimedia presence, which means we’re always looking for new photographers, graphic designers and videographers. News: Tuesdays at 8:15 p.m.
Life: Mondays at 7:30 p.m.
Sports: Fridays at 4:30 p.m.
Multimedia: Thursdays at 8:15 p.m. Full-time staff applications open each November and April (sometimes again in August, too). You’ll be able to apply online at that time. Full-time staff members attend editorial board meetings and news shifts in the office each week, in addition to writing articles, taking photos or other assignments as needed. Have questions or want more information? Fill out our interest form here. An editor will contact you with more information about getting involved and send out staff applications when they are available. 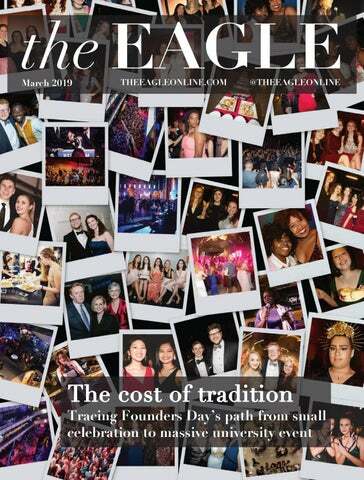 You can follow up on your interest form by emailing editor@theeagleonline.com. Former Eagle staff members have gone on to prestigious internships and jobs at The Washington Post, Cooking Light, NBC4, NPR, Baltimore Sun Media Group and more.